ThePromise are very pleased to announce that in March 2014 we supported the start of a brand new Community Portage service in the port town of Taganrog. Taganrog is situated on the shores of the Azov Sea in the far southern region of Rostov. 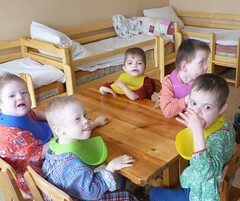 After being contacted byDiana Antonenko in 2013 ThePromise, working in partnership with Obeshenye, were able to support Diana in setting up a Portage service for the families of disabled children in Taganrog. 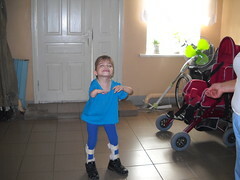 Diana attended a 3 day Basic Portage Workshop run b Obeshenye and ThePromise in Moscow and after learning what Portage can do for disabled children and their families she decided to set up a service in her home town of Taganrog. 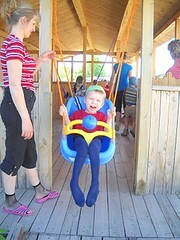 Diana understands what it is like for families in Russia looking after a child with additional needs. She is a mother of two, a son of 14 years old and a daughter of 8. Sophia was born with Microcephaly resulting in epilepsy, cerebral palsy and developmental delay. Diana retrained as a Speech and Language Therapist in order to be able to help her daughter more and through learning about Portage saw the impact it could have on her family and families like hers. After much correspondence between ThePromise and Diana in early 2014 it became clear that she and her team were ready to start work. Diana had established working relationships with the local university recruited a variety of volunteers with relevant experience to become Portage Workers and even secured donations from a local church organisation to fund the volunteers travel and the cost of photocopying paperwork. So in February 2014 Jo travelled to Taganrog, via London, Moscow and Rostov-on-Don, to support Diana and her team in starting their work. Jo was joined by Katya Kransnokistya, Senior Portage worker from the Yasenevo centre in Moscow, to provide support and training to Diana and her team. Jo and Katya visited the families who would be starting Portage as well as some of the families who hope to join the project in the future. It was a great opportunity to understand the family’s needs and current support networks, which unfortunately as we have seen elsewhere in Russia is often very limited. We were able to give the families information and ideas of things to do with their children to support their development and learning. 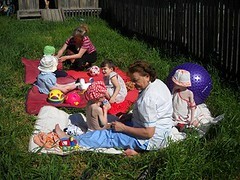 These included simple instructions regarding positioning to encourage motor development and exploration of toys, ideas on how to support communication to enable the children make choices and express themselves and demonstrations of how to use pieces of equipment that they had been given but never shown how to use. 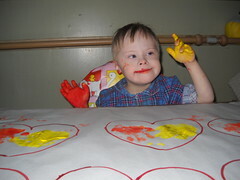 There were some fantastic smiles during these sessions and we can’t wait for updates and hopefully some pictures to share. Katya and Jo also ran 2 seminars for the new Portage team and other professionals interested in Portage. These were very well received generating lots of questions and discussions. There was a real sense of excitement and drive from many of the volunteers and at the end approaches from two further people about starting Portage services in their home towns, one being the near-by city of Rostov-on-Don. All of this work has been possible thanks to ThePromise supporters and their amazing fundraising. 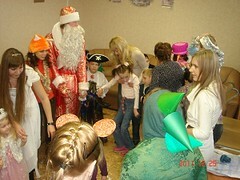 From the 10th Birthday Party last year, events held over Christmas and more recently the sponsored Winter Morning Walk every penny raised has gone to training and supporting teams like Diana’s in Taganrog to expand the power of Portage and help families support their children to learn and develop. For further information please contact Armenui at Obeshenye – armenui.gevurian@thepromise.org.